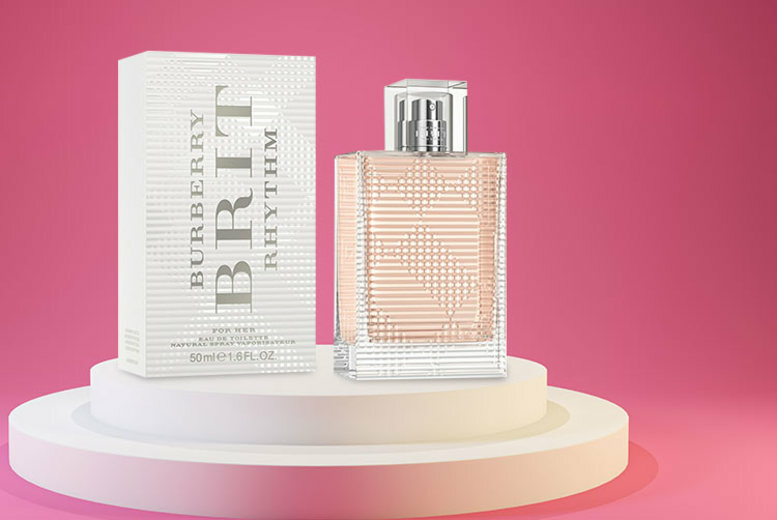 Spritz and save for a 90ml bottle of Burberry Brit Rhythm EDT! Embrace your free spirited nature with Burberry’s eau de toilette for her. Captures the essence of the iconic rock ‘n’ roll Burberry Brit girl. Powdery scent opens with a rush of English lavender, pink peppercorn and neroli. Followed by a majestic bouquet of orange flower, orris and blackberry. Plunges into a deep vetiver and musk base. A gorgeous gift for your muse.